As part of the US Department of Arts and Culture’s 2017 People’s State of the Union, we invite you to join us at Downtown Art for a special story circle. The People’s State of the Union is a rare chance to circle up, be fully seen and heard, listen deeply, make meaning together, reweave the fabric of community, get a glimpse of where we can go from here — and, of course, inspire the Poetic Address to the Nation. The Poetic Address is a counterpoint to the presidential state of the union address, collaboratively composed by poets who weave together the hopes, words and stories from people across the country. You are invited to share a 3-minute story about your experiences and join in a community discussion. Tell us about when you’ve felt belonging (or the opposite) in this nation. Recount a time you broke through a barrier to connect with someone different from yourself. Share your insights into the state of our union. A scribe will write outlines of your stories, and share them on the PSOTU online story portal. 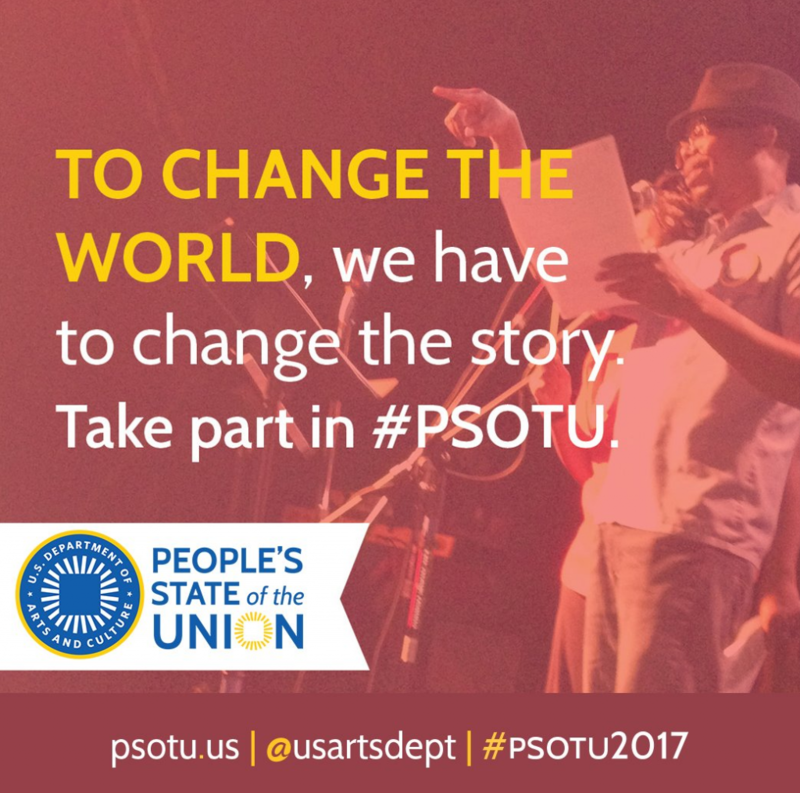 All the stories submitted from across the country will provide inspiration for a collective “People’s State of the Union Address” delivered in the form of a poem at the Yerba Buena Center for the Arts in San Francisco on Saturday, March 11, 2017 (and livestreamed for us NYC folks). The Poetic Address is a counterpoint to the presidential state of the union address, collaboratively composed by poets who weave together the hopes, words and stories from people across the country. This is a free workshop, open to all, with refreshments provided. Downtown Art is located at 70 East 4th St (between the Bowery and 2nd Avenue). Take the F train to 2nd Avenue, the 6 train to Astor Place, the N,R to 8th Street, or the B,D,F,M to Broadway-Lafayette. In Presidential inauguration years like 2017, there is no official State of the Union Address. But after this campaign cycle, We the People are likely to have even more light than usual to shed on this nation’s recent past and immediate future. Every time a new President is elected, a Transition Team of experts is assembled to advise on the new administration’s directions and strategies. But a handful of experts can’t represent all of us. This year, we’re thinking of everyone who takes part in #PSOTU17 as a member of the USDAC Transition Team, sharing your experiences and the wisdom they carry with each other and the next President, who really needs to hear them. Since 2015, the US Department of Arts and Culture (not a government agency, but a people-powered grassroots action network of artists and cultural workers) has hosted the People’s State of the Union as an invitation to supplement the President’s stories by coming together in our own homes, schools, houses of worship, and community organizations to share our own take on the state of our union. 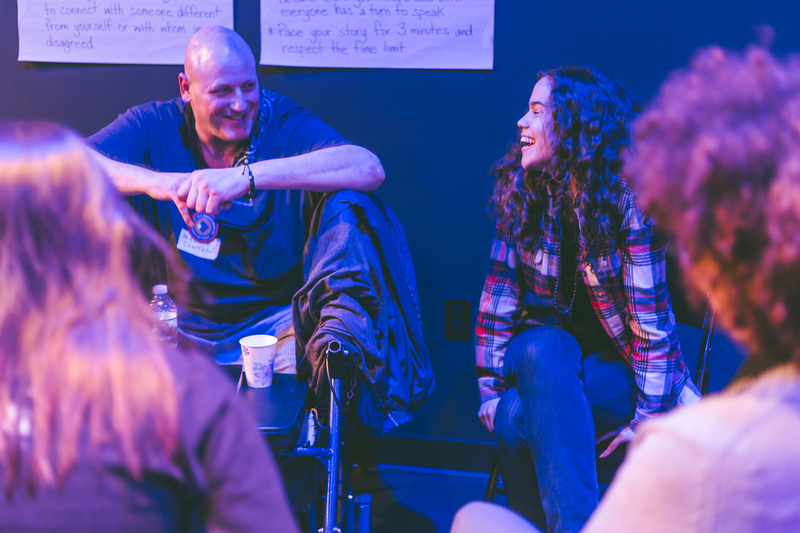 The Five Boro Story Project has organized story circles each year and we feel that it’s more important than ever to take part in these conversations with the 2017 presidential inauguration. Click to learn more about the People’s State of the Union! View photos from the 2017 People’s State of the Union HERE.